Treat yourself to total luxury and join this beautiful yacht for an unforgettable day diving and snorkeling at the dive site of your desire. We can arrange tours to Koh Tao, Anthong Marine Park, Sail Rock or Koh Ma in the north of Koh Phangan, so that the tour can be adapted to your diving experience and destination. The tour schedule is flexible. There are ½ days and all-day options available. 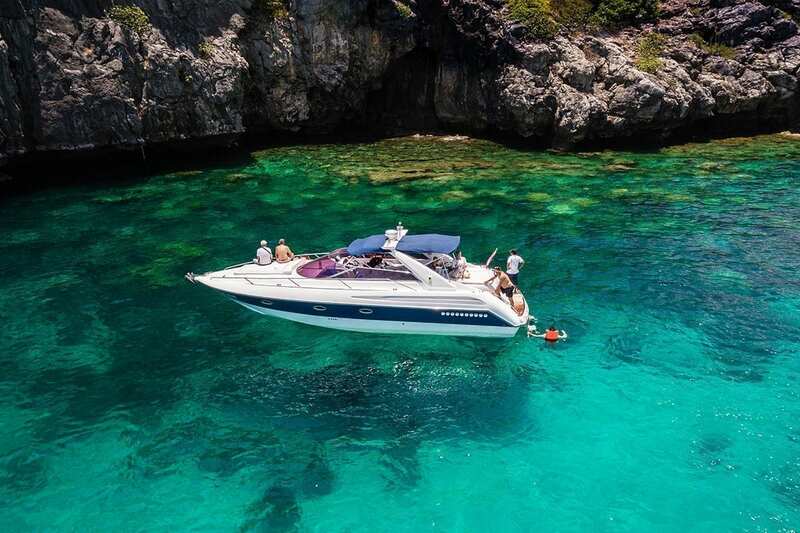 The tour includes hotel transfer, a private motor yacht from world-renowned British manufacturer Sunseeker, soft drinks, snorkeling and diving equipment, instructors and a snorkeling guide. Lunch can be arranged to your liking – either picnic, Thai food or seafood BBQ on the boat.